As I wrote in Not these mailboxes, there are so many mailboxes with posts made of chains (welded together) that I usually don't show them. 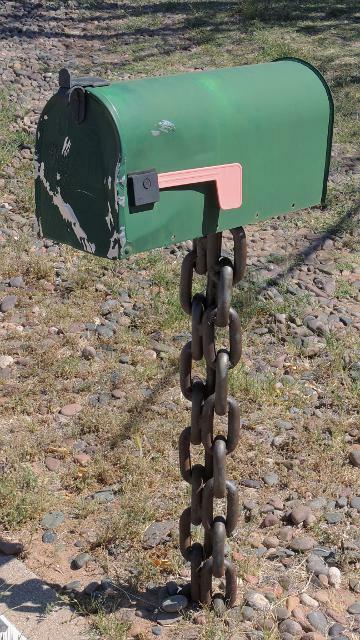 But this green mailbox has a chain post made of two chains... and that's different! I rolled by it (and stopped) on March 29th.